The office becomes our second home, for some it becomes their first. However there is a kind of comfort we find at home that can never be duplicated in the office. You’d be really lucky if you have your own office –away from the crowded and cluttered cubicles. But even the employees deserve a workspace with a little more comfort and not just that, they deserve one that is stylish as well. A healthy work place will definitely promote good performance among the employees. Potential employees would really aim to be hired in a company with offices that are stylish and up to date in interior trends and design. It would be a privilege for them to work in a company that does not only perform well, but is literally looked up to for its style from the exterior structure to the interiors as well. If you work in an office that has left the trend and style for cluttered work cubicles and offices that give off negative impressions for your clients then it is definitely time for you to have your office refurbished. As an employee you may want to bring it up to your boss or supervisor. If you’re the boss then you may be surprised with what a few interior changes can do for you and your employees. We all know how busy working people can be. The first reason why the office becomes cluttered and out of style is because there is not time to even think about making the offices stylish and trendy. If eventually the thought comes to pass it may take quite a time to put into action. Office refurbishment projects need not be done by the employees themselves. This is and should be a project of the company to improve the working environment of the employees. One of the best interior fitting and refurbishing companies is Overbury. Overbury specializes in refurbishing different establishments including offices, hotels, as well as educational and leisure establishments. When you hire Overbury for refurbishing projects, you will be hiring a team that has wealthy knowledge of deigning these professional establishments. This team will work hand in hand with the team from your office so that both can come up with the kind of refurbishment you are aiming for your office. These teams will work on goals and solutions for your offices. Overbury has just proudly launched its technology division. This will surely be an advantage for you, their clients. 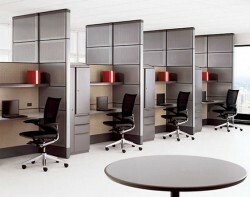 You will be assured that your office will not only be stylish but it will be up to date in terms of technology as well. The price for a refurbishing project starts with a few thousand dollars to millions depending on the size of the project. A single office refurbishment to a wider coverage of the company can surely be handled by Overbury. Try visiting their website to see the projects they have handled and the different establishments they have worked on. Their site is very helpful for you to put your office refurbishment project into place.